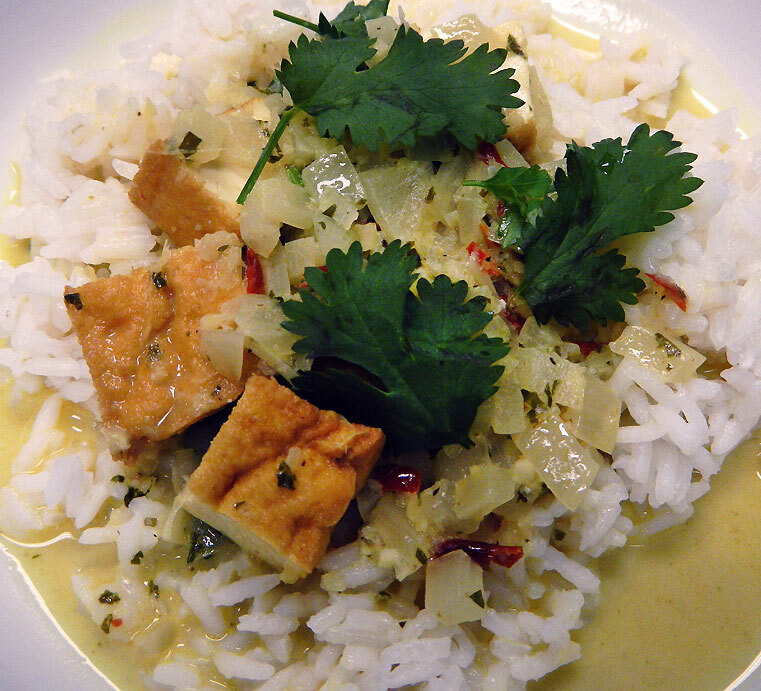 My first ‘World Spices’ cooking class started with ‘Tofu in Curried Coconut Milk’ from Cambodia. I was in Cambodia for a couple of weeks in 2007, but looking through my journal I see that I often mentioned the people I ate with, but only occasionally noted what I ate. Regarding a Cambodian meal I have written, “amok and Margaritas(!) for dinner, the amok served in a coconut shell…” or “omelette and noodles for lunch“. There aren’t even any photos of meals. I have added the few food photos I took at the bottom of this post; you’ll know why they are at the bottom when you see them! 1. 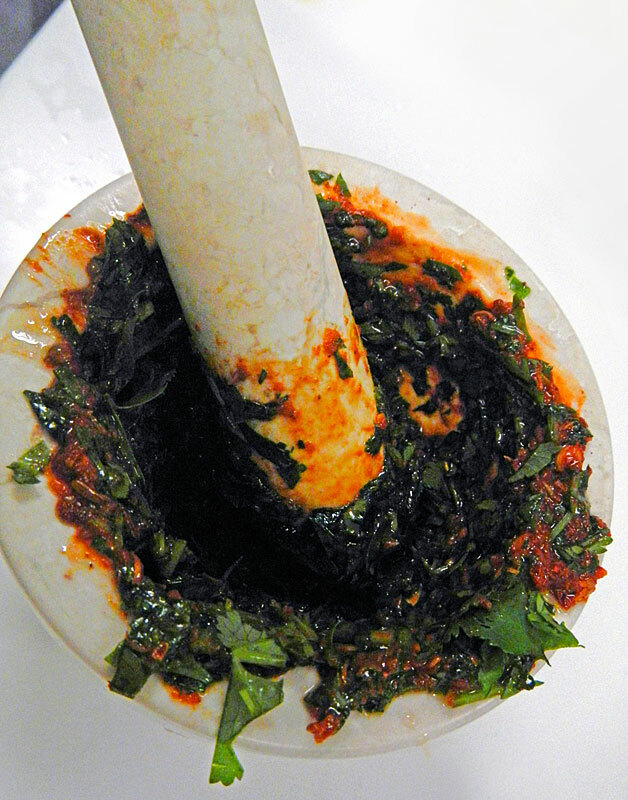 Mash everything with a morter and pestle, then fry in a small frypan to bring out the essential oils and flavours. NOTE: there was something volatile in this curry paste that had me coughing my lungs out, and I wasn’t the only one in the class with this problem. Even the left-overs heated in the microwave set me coughing again. 2. In a larger saucepan fry chopped shallots until soft. 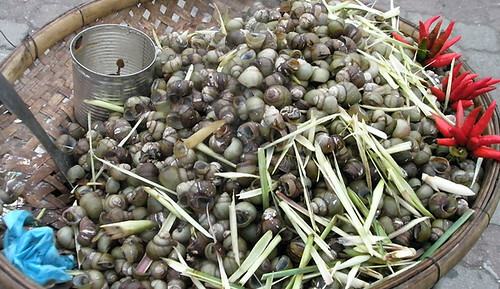 NOTE: in Cambodia they would typically use peanut oil to fry their ingredients, but if you’re allergic, then grape seed oil is a good substitute. 3. Add coconut milk and the fried curry paste. 5. 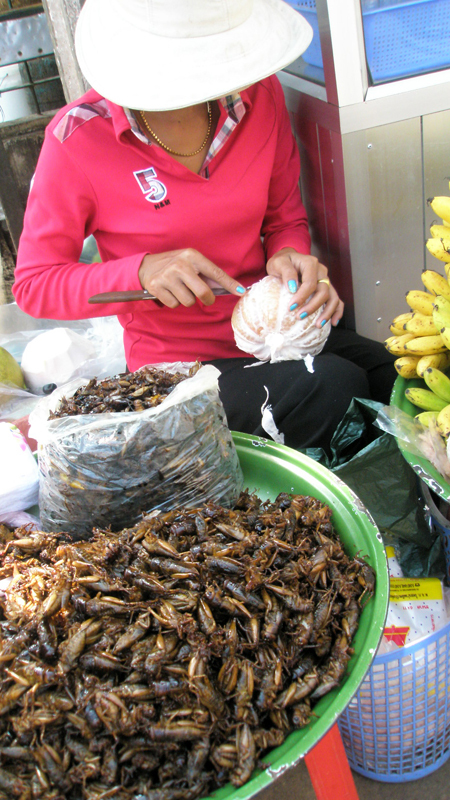 Time for a taste test; if not salty enough add more shrimp paste. 6. 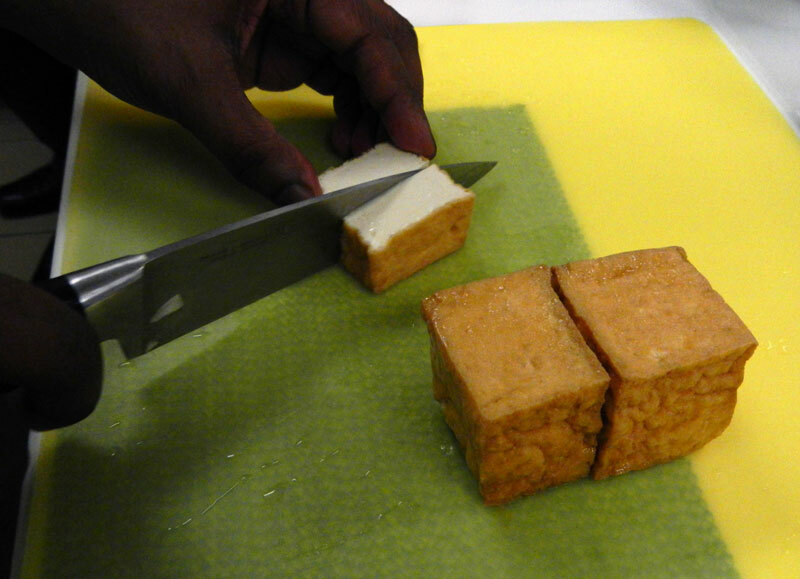 Add cubes of tofu. 7. Serve over jasmine rice (started 15 minutes earlier, follow instructions on rice package). 8. Garnish with cilantro sprigs. Notes: The sauce was wonderful but I’m not that fond of tofu. I think this sauce would be fabulous with shrimp. 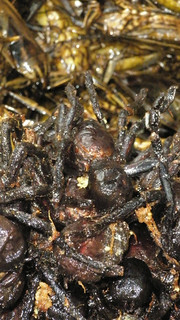 Gruesome spider snacks, one of the tourists bought one but I didn’t– they were expensive!